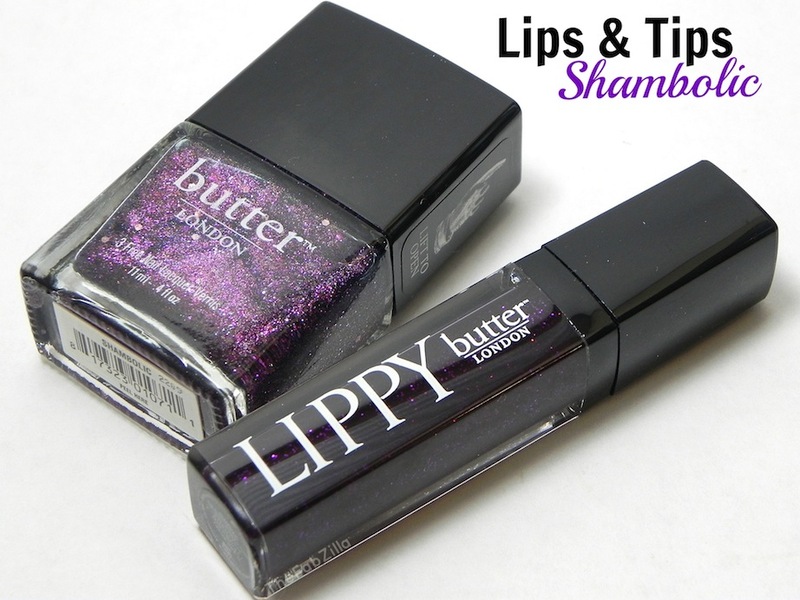 butter London Lips & Tips (Shambolic) For The Holidays! 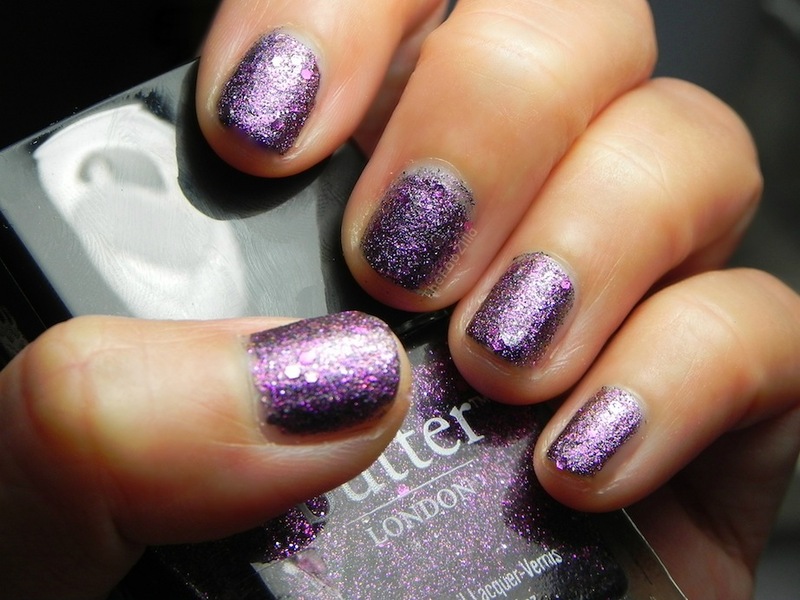 Purple glitter nails, of course! Purple glitter lips, why not? I’m all for fun for the holidays! So among the six shades from butter LONDON’s holiday lips and tips combo ($25, Nordstrom), Shambolic was the obvious choice for this woman! Oh la- love at two coats! Ignore the fugly nails and admire the beautiful fusion of purple microglitters, silver and pink hexagonal discs. I love me some night life, I lurve me some boogie! So yes, this makes a lovely present for Christmas. That’s one girl off the shopping list! 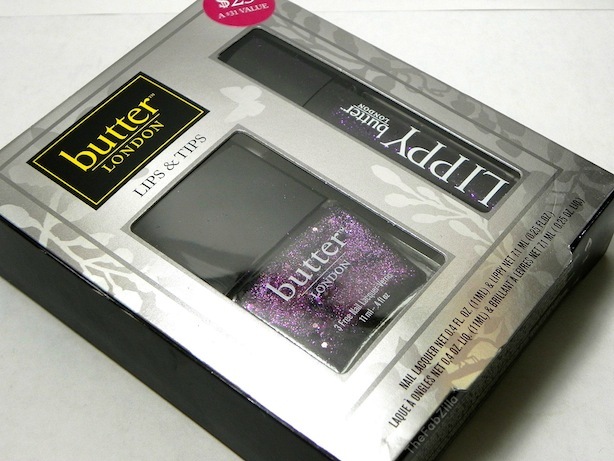 Do you own this or anything from butter LONDON’s holiday collection? No, but I must say I really like this! Hi J, thanks for stopping by! 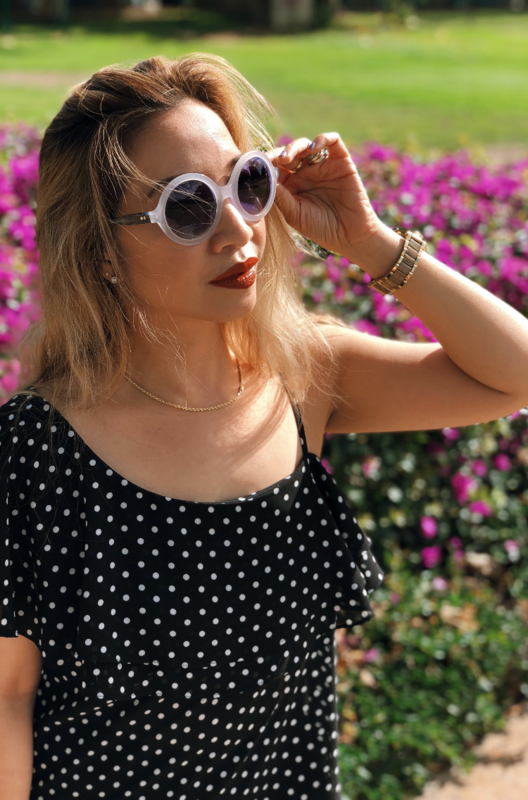 Love, love, love this lips & tips collection! The purple nail color is stunning/perfect for the holidays! 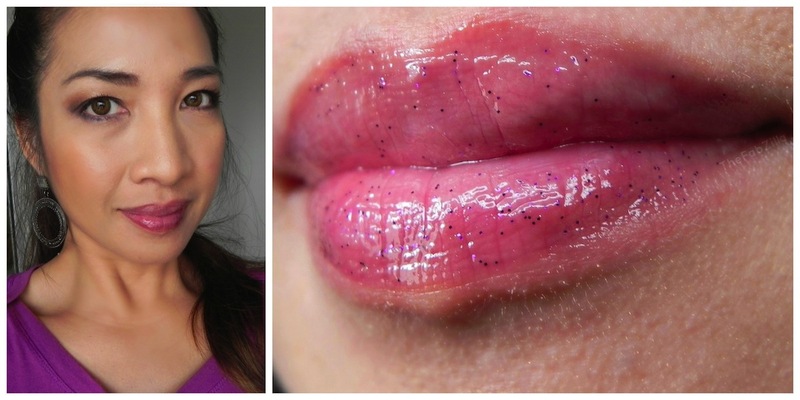 And the gloss would be fun layered over an actual lipstick color.